June 14, 2018 10:06 am. 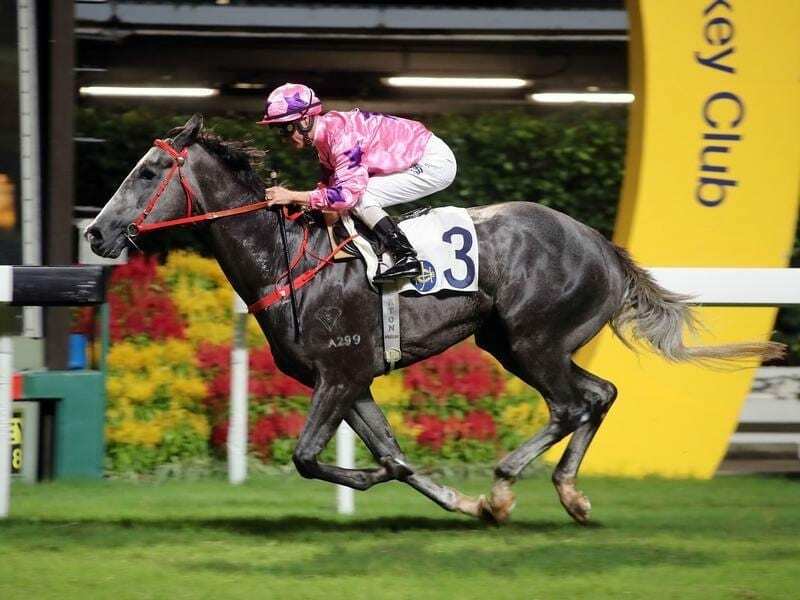 Hot King Prawn has helped Zac Purton pull five clear of Joao Moreira in the HK jockeys’ premiership. Ex-pat Australian Zac Purton has extended his lead over Joao Moreira in the Hong Kong jockeys’ premiership with four wins at Happy Valley. With eight meetings left in the season, Purton is on 121, five clear of Moreira who failed to ride a winner on Wednesday night. “It’s a nice spot to be in,” Purton said. Among Purton’s wins was the progressive Hot King Prawn in the Class Two Handicap (1200m). Hot King Prawn took his record to six wins from seven starts and trainer John Size, recently inducted to the Australian Racing Hall of Fame, ended the meeting on 83 wins for the season, 26 ahead of his nearest rival and former assistant Frankie Lor. “It was painless,” Purton said. “The first 150 metres of the race was the most important and once he got out like he did we were in the right place. Hot King Prawn had one barrier trial for former Melbourne trainer Robert Smerdon before being sent to Hong Kong.